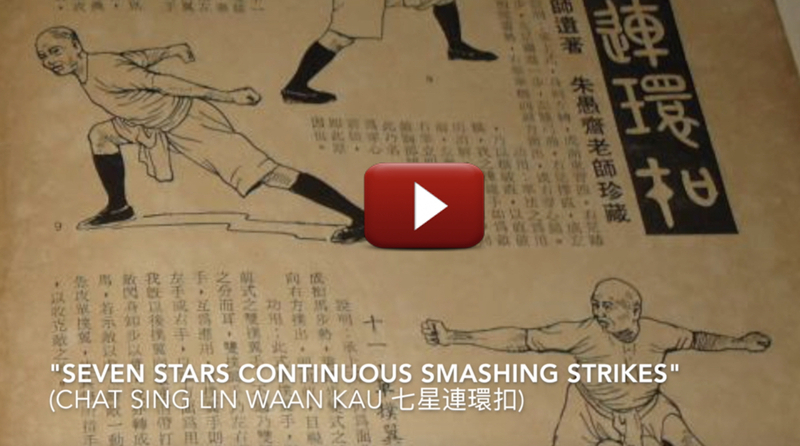 Hung Ga’s “Seven Stars Continuous Smashing Strikes” (Chat Sing Lin Waan Kau) is a famous “long Bridge” boxing combination from “Tiger & Crane Double Forms” Set. It was supposedly #7 of Wong Fei Hung’s „Ten Lethal Bare Hand Techniques“ (Sap Duk Sau). This entry was posted in Hung Kyun Research, Hung Kyun Techniques, Hung Kyun Videos and tagged Seven Stars, Ten Killing Hands, Wong Fei Hung on April 28, 2015 by Pavel Macek.